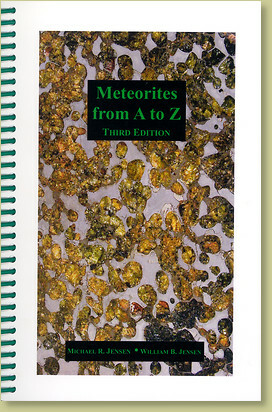 This book is produced with the meteorite collector in mind. The format will make it a useable and quick reference for both the collector as well as the serious meteorite enthusiast. Over 10,000 meteorites are listed in this book. The text includes all non-numbered Sahara and Antarctic meteorites published through Meteoritical Bulletin 92, as well as all of the numbered Saharan and Arabian Peninsula meteorites through the same period. The bulk of the information in this book comes from the Meteoritical Society and NASA's Astrophysics Data System.